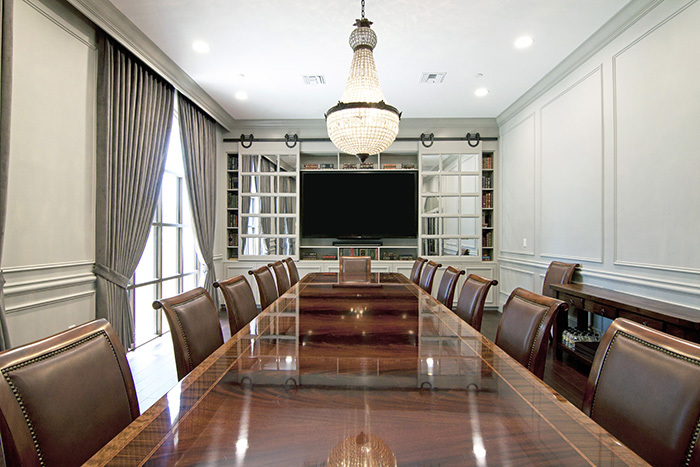 The Library at The Wanderers Club was recently renovated along with The Ballroom to provide guests and members with an elegant multi-functional room perfect for private dining, board meetings, group sessions, and formal meeting space. The room features a stunning meeting table with vintage books and collector pieces lining the back wall. A large flat screen projector screen is available for presentations and slide shows. 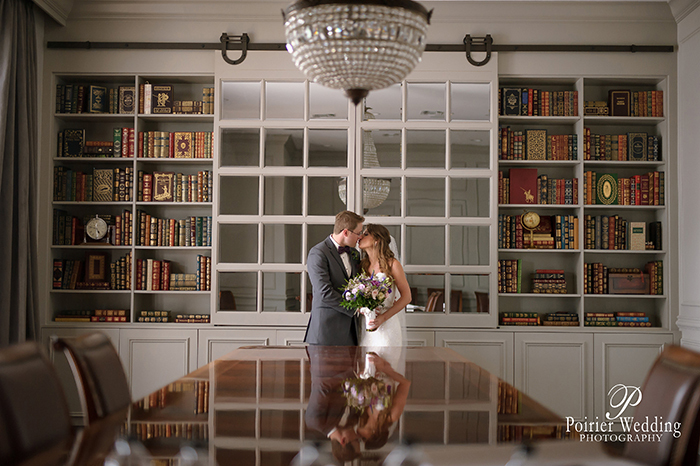 Serving as a perfect space for event preparation and photos, The Library has quickly become a favorite location for wedding parties to highlight bride and groom photography. To inquire about booking space in The Library please click here.